There is a Design Your Wardrobe Facebook group and it totally took over my timeline. I loved it (because it all are very positive posts & all abouw sewing, what’s not to love?) but when the course started and I couldn’t start immediately, I got a bit overwhelmed with all the input the other students were giving. It almost became a mountain I didn’t dare to start climbing. So let me introduce my collection. I called it Hippy Momcore. Suitable for work (hé, I am a creative, so I don’t have to be suited up! ), but also perfect for around & at home & at the playground with my kids . And because you don’t have to take yourself too serious all the time right? These clothes are nonchalant but still a bit stylish. And they give me secret superpower (because I made them). Just what I need to carry around, right? 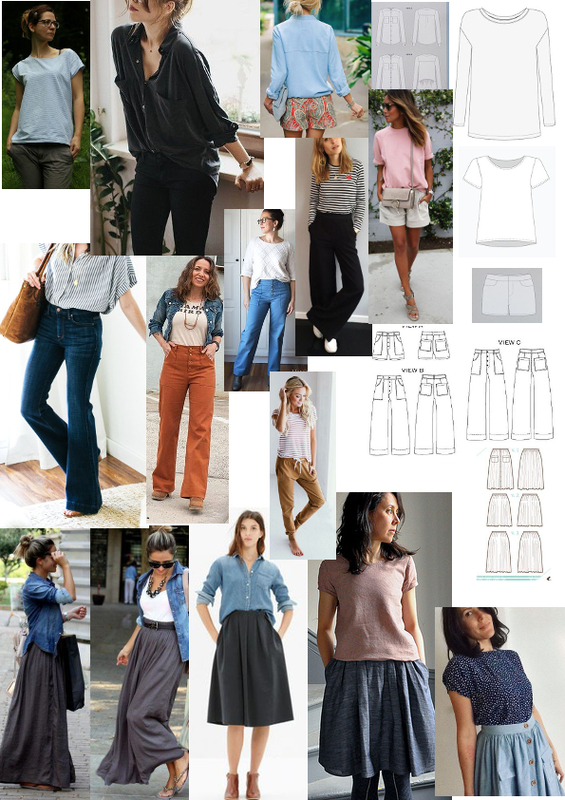 Loose & fitted silhouettes, flared pants, shorts or midi/long skirt. Next up: week 2. I need to shop my stash!